There are 11 questions and 8 answers for this product. What replacement wheel is used for this truck? We have several trucks where the wheels are broken - rubber falling off. Hello Henrik, Replacement parts for this model can be special ordered by our sales team. I have forwarded this query to them as they can provide additional detail. Thank you for your interest in our product! Hello Chip, Repair parts for this model can be special ordered through our sales team. Thank you for your interest in our product! Can it roll in the raised position? I see the support legs that come down at heights above 16" have what sort of look like rollers on them. Hello Clara, No, it can't roll in the raised position. 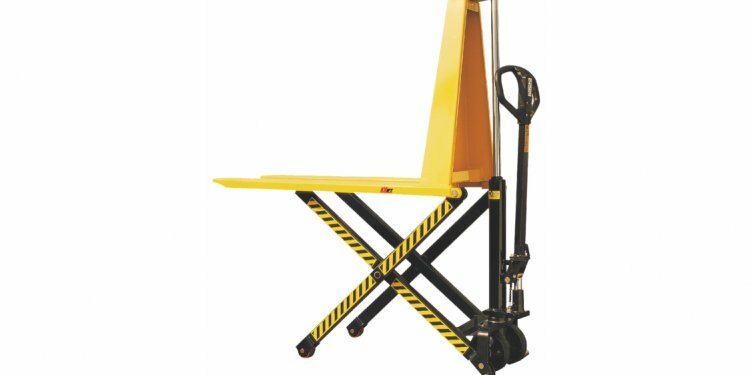 The wheels are for moving the pallet lifter itself, but its not meant to be moved under load. The legs touch the ground once it is at about 16" Thank you for your interest in our product! You can easily purchase them from Global. where can I find repair parts for the hydraulic cylinder. They will need to be special ordered, please contact us at 1.888.978.7759. Thank you. Where does this unit ship from to go to Sandwich, IL? How many pumps does it take to get to full height? At maximum capacity it would take 60 strokes, as stated on our website. Are the forks 45" or is this the entire lift jack length?